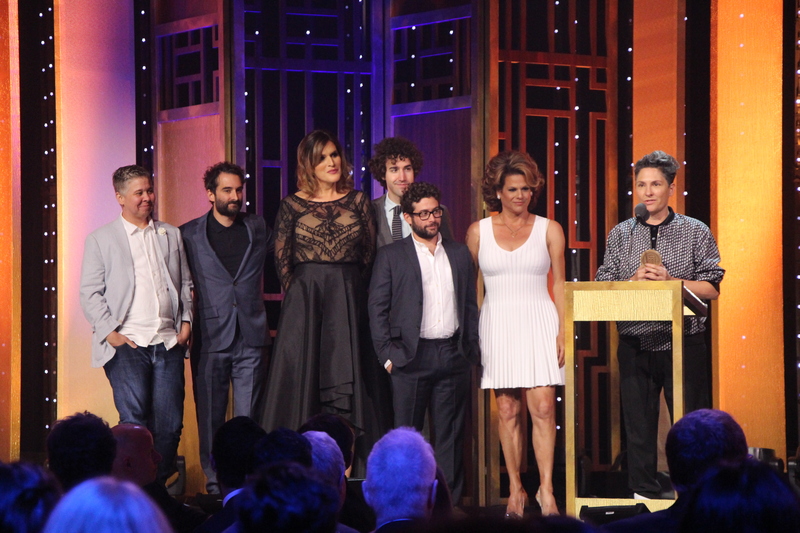 On Sept. 18, producer Jill Soloway won the Primetime Emmy Award for Outstanding Directing for a Comedy Series after producing and directing “Transparent”, one of the first shows to ever feature a trans woman as its main character. An advocate for both women’s and LGBTQIA rights, Soloway chose to use her acceptance speech as a way of increasing support for the topic she holds very close to her heart. The award not only recognized the success of Soloway’s show but also acknowledged individuals who personally struggled with the issues she brought to the screen. Members of the LGBTQIA community are often excluded due to controversies and the history of violence against individuals who support them. This award made them feel included and motivated to continue fighting for equal representation everywhere, including mainstream media and television. “I’ve always wanted to be part of a movement ― civil rights movement, the feminist movement,” Soloway said. Soloway’s speech is quite timely considering it came after many tragedies in the LGBTQ community. For instance, the Pulse shooting that occurred just earlier this year in Florida is still fresh in people’s minds. A total of 49 people were murdered after the shooting at the gay nightclub. Soloway’s empowering message acts as a beaming light of hope in a time of sadness and unjust violence. “This TV show allows me to take my dreams about unlikeable Jewish people, queer folk, trans folk, and make them the heroes,” Solloway said. Not only did Solloway use her speech to promote her beliefs regarding the LGBTQIA community but she also attacked presidential nominee Donald Trump and compared him to the infamous Hitler himself. Trump has been criticized by many feminists before and this is not the first time he has been mentioned in an acceptance speech either. Actress Julia Louis-Dreyfus, who also won an Emmy that same night, referenced Trump’s plan to build a wall between the U.S. and Mexico in her speech. “I think ‘Veep’ has torn down the wall between comedy and politics. Our show started out as a political satire, but it now feels more like a sobering documentary. So I certainly do promise to rebuild that wall and make Mexico pay for it,” Louis-Dreyfus said. Soloway and Louis-Dreyfus are just two of the many celebrities who have chosen to use their moment in the spotlight to help garner support for their beliefs and further a cause greater than themselves. As a whole, these types of acceptance speeches with clear political implications serve as a way for issues involving minorities to be talked about in the news. These acceptance speeches are very important as they draw attention to ongoing problems that have yet to be solved in our society regarding minority groups, such as transgender women.